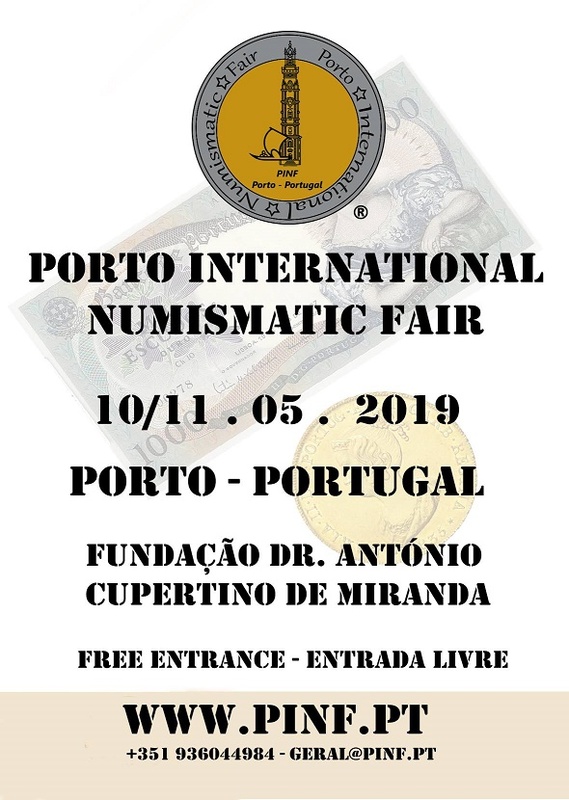 We cordially invite you to the 3rd PINF (Porto International Numismatic Fair) on 10th and 11th May, 2019. 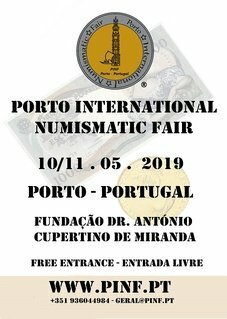 On the 2nd edition, 2018, the PINF was with over 80 dealers and exhibitors. Portugal is considered by specialists, the best destination for tourism in Europe at the moment and Porto is a very beautiful city. Please visit us! Excellent oportunity to make more rich my collection. As in the previous editions, it is a very well organized fair - good offer for all kind of collectors. Free admission and I had the chance of visiting the banknotes collection of the Foundation, which is impressive and totally recommendable. I had bought there coins and sets for a reasonable price, from dealers around the world.